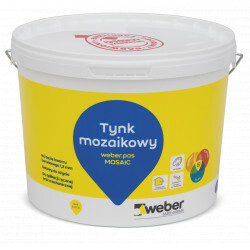 Acrylic - silicone plaster mass for thermal insulation systems. 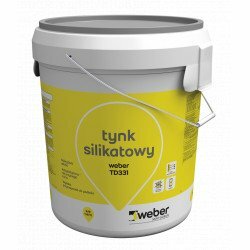 Acrylic - silicone mass weber TD325 is a factory-made, colored product, supplied in buckets, in the form of a paste, ready for use on the construction site after prior mixing. 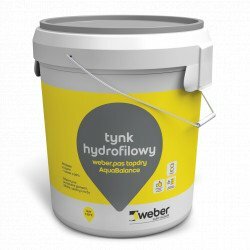 The product is based on water dispersion of acrylic and silicone resins and mineral structural aggregates. The chemical composition of the product makes it possible to significantly reduce its diffusion resistance. 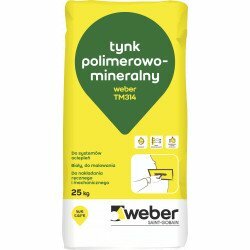 The plaster has a coating protection against fouling with algae or fungi. on unprotected weathering horizontally or horizontally.